As software engineers, our aim should be to deliver programs to our users that perform the tasks they need that software to perform. The whole field of software engineering has centered around how to achieve that goal. One attempt to achieve it was the waterfall model of software development. But the waterfall model produced many failures: death marches, instances of the ninety-ninety rule, small matter of programming issues, planning fallacies, and many more such problems. And we can offer a sound diagnosis of why so many waterfall projects failed: the model assumed that all knowledge about a project could be captured by a small group of expert "analysts" right at the start of the project, and the job of the rest of the people involved was just to follow the instructions of those experts, and not to think for themselves. In short, the waterfall model was a species of Taylorism. Of course, some software projects using the waterfall model succeeded. But it turns out that most successful software projects, over many decades, instead followed the "UNIX philosophy", where development projects sought to quickly achieve an MVP, and then proceeded to improve that initial product with incremental changes. Value is delivered to the users quickly, rather than waiting for "release 2.0" for the users to get a hold of the features they need. Small batches can more easily be tested and verified as working properly. If a small release contains an error, it is easier to roll it back than it is to roll back a major release. The "feedback loop" between users and programmers is shortened, allowing programmers to learn about users' needs more rapidly, and respond more quickly to them. Greater programmer satisfaction, as programmers can regularly see the value of their work to their users. As development teams adopted Lean and Agile methods, they often became capable of producing production-ready software on a daily basis, or even more frequently. (For instance, Amazon releases software into production once every 11 seconds, on average.) But this created a problem: managing software in production environments was traditionally the job of operations, not of the developers. And operations viewed its job as slowing the pace of releases, because releases meant bugs, crashes, and other problems operations had to handle. How could this gulf between development and operations be narrowed? A few forward-thinking operations people saw a way to reconcile the aims of development and operations: operations itself had to become Lean and Agile! In particular, rather than hand-provisioning operations infrastructure, operations team members had to themselves become coders, and apply the full toolkit of Lean and Agile methods to operations: incremental changes, automated testing, source code control, automated builds, and so on. One of those operations people, Patrick Debois, named a conference DevOpsDays, and from that seed, the term "DevOps" spread. Testers cannot test successfully unless they are part of the production process from day one: thus, continuous testing. Operations cannot successfully deploy constantly evolving products unless deployment itself becomes a software product capable of swiftly evolving: thus, software as infrastructure. The "business" stakeholders in the product can't ensure it is meeting business needs unless they are continually engaged: thus continual interaction between the engineers and the "business people." Why is "business" in scare quotes above? Continuous monitoring, so that problems using the product become known right away. At this point in our course, you should read the Wikipedia page on DevOps. Or how, being weaned on nutritious Bell Labs commonsense, and having dined on Oakeshott's critique of rationalism, I was ready to digest the DevOps feast. I began my career as a software engineer working on MS-DOS computers in the mid-1980s. But before the decade was over, I had begun working on UNIX platforms. As I came to appreciate the elegance of the UNIX programming environment, I sought out the writings of the people who had been instrumental in its creation. 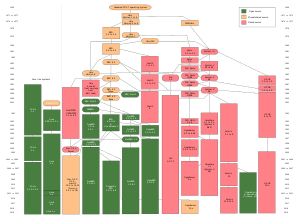 This was the tremendous group of software engineers assembled in Bell Labs from the late 1960s through the early 1980s, including Ken Thompson, Dennis Ritchie, Brian Kernighan, Alfred Aho, Peter Weinberger, Bjarne Stroustrup, Jon Bentley, and P.J. Plauger. From them I learned a pragmatic, incremental style of developing software. Rather than pursuing some grand, abstract vision, I learned to deliver minimal but working software to users as regularly as possible, and to learn from user feedback what further features needed to be added. By the 1990s, I had learned enough that I felt ready to make my own contributions to this literature, writing "Semiotics and GUI Design," pioneering intranets as a way of delivering in-house software, touting infrastructure as code, describing generic client-server interfaces, stressing the basics of OOP, and more. Subsequently, in a decade away from software engineering, I conducted extensive studies on rationalism. These studies prepared me to understand development methods like the waterfall model as examples of "dreaming of systems so perfect that no one will need to be good"* -- these practitioners were practicing "rationalism in software engineering." Or, to put it in my colleague Nassim Taleb's terms, these systems were designed to be robust, impervious to change. (Consider the desire to "lock down" the software's feature set in the requirements phase of the waterfall model.) What was needed instead were systems that were antifragile, and actually thrived on change. Thus, when I returned to software engineering and came across the DevOps movement, my experience was not one of meeting someone brand new, but of re-acquainting myself with an old friend who was sporting a new look, and had learned some fancy new tricks since we had last met. In particular, the DevOps approach does not try to ensure design is 100% complete before any code is written: an impossible, rationalist dream. The DevOps approach does not attempt to ensure all software leaving a developer's hands is bug-free: again, an impossible, rationalist dream. And it does not attempt to ensure that all released software is 100% crash-free and secure. Instead, the DevOps approach recognizes that humans are fallible and errors will occur, and so stresses fast recovery from errors and a low-blame culture that emphasizes learning from errors rather than punishing transgressors. So, for instance, rather than blaming the programmer who released a piece of buggy code into production, the DevOps approach asks, "What test haven't we written that would have caught that bug before release?" * T.S. Eliot, "Choruses from the Rock"
I, Pencil, simple though I appear to be, merit your wonder and awe, a claim I shall attempt to prove… Simple? Yet, not a single person on the face of this earth knows how to make me. This sounds fantastic, doesn't it? Especially when it is realized that there are about one and one-half billion of my kind produced in the U.S.A. each year. Read goes on to list just a few of the many, many people who contribute to the making of a “simple” pencil: loggers, miners, makers of chain saws, hemp growers, the manufacturers of railroads and railroad cars, millworkers, producers of precision assembly-line machines, the harvesters of canola seed, farmers growing castor beans, and more. What Read is praising in his essay are the benefits of the division of labor, the economic process through which a human community, by dividing up tasks and “assigning” various members to specialize in each task, can greatly increase its output. (I put “assigning” in scare quotes because, in a market economy, for the most part people are not literally assigned to tasks, but instead choose their roles in the division of labor based upon their talents and the prevailing compensation for each possible role they could fill.) The benefits of the division of labor were, of course, recognized at least as far back as Plato and Xenophon. As Plato put it in The Republic, “Well then, how will our state supply these (physical) needs? It will need a farmer, a builder, and a weaver, and also, I think, a shoemaker and one or two others to provide for our bodily needs. So that the minimum state would consist of four or five men.” And Adam Smith famously expounded upon those benefits in The Wealth of Nations, writing “The greatest improvement in the productive powers of labour, and the greater part of the skill, dexterity, and judgment with which it is anywhere directed, or applied, seem to have been the effects of the division of labour” (The Wealth of Nations). Smith goes on to describe the production of pins, a task at which a single person, not specialized at the task, “could scarce, perhaps, with his utmost industry, make one pin in a day, and certainly could not make twenty” (same source as above). But, when ten workers took on specialized tasks, with the help of specialized machinery, though “they were very poor, and therefore but indifferently accommodated with the necessary machinery, they could, when they exerted themselves, make among them about twelve pounds of pins in a day” (same source), with the result that each worker produced several thousand times the number of pins per day as would have been possible without the division of labor. Smith is pointing out a general problem with the extensive division of labor, but there is a much more particular problem, which only came to prominence in the recent days of increasing automation and increasing demand for innovative and customized products: the sort of mindless, production-line division of tasks common in mid-20th-century factories created a workforce downright discouraged from thinking about how their work fit into the production process as a whole, or how alterations in other parts they did not directly make might affect their own task. Such a holistic view was only supposed to be required of the engineers who designed new products or who designed the factory processes that would produce those new products. As in a planned, socialist economy, all knowledge about the product and the production process would be concentrated at the top of a pyramid of work, and those below the peak were to just mindlessly follow the orders of those knowledge commissars. Enterprise awareness is one of the key principles behind the Disciplined Agile (DA) framework. The observation is that DA teams work within your organization’s enterprise ecosystem, as do all other teams. There are often existing systems currently in production and minimally your solution shouldn’t impact them. Better yet your solution will hopefully leverage existing functionality and data available in production. You will often have other teams working in parallel to your team, and you may wish to take advantage of a portion of what they’re doing and vice versa. Your organization may be working towards business or technical visions which your team should contribute to. A governance strategy exists which hopefully enhances what your team is doing. The various aspects of Agile / Lean / DevOps production follow from recognizing these realities concerning knowledge workers cooperating to create innovative products. Programmers cannot do their jobs in isolation: thus, the practice of continuous integration, which quickly exposes mutual misunderstandings of how one person’s work impacts that of others. Testers cannot test successfully, without introducing large delays in deployment, unless they are part of the production process from day one: thus, continuous testing, guaranteeing that product flaws are exposed and fixed at the earliest moment possible. Operations cannot successfully deploy constantly evolving products unless deployment itself becomes a software product capable of evolving as fast as the products of the developers: thus, software as infrastructure. The “business” stakeholders in the product cannot ensure the product is really meeting business needs unless they are continually engaged in the development process: thus continual interaction between the engineers and the “business people.” How new versions of a piece of software impact the end users cannot be determined without continual feedback from those users: thus, incremental development, which means developer work on small batches and can easily change course; continuous deployment, allowing end users to comment on the work done in those small batches; and continuous monitoring, so that any problems using the product become known almost as soon as they occur. Let us consider a realistic change that might hit a project mid-stream, and just a few of the areas it might impact. I was once developing an option-trading package for a team of traders. At first, we were only getting quotes for options from a single exchange. The traders realized that they wanted instead to see the best bid and ask from every exchange, which meant we needed to get quotes from four exchanges, not one. This might seem to be a specification change with a narrow scope: just add three more price feeds to the application. Who would this concern beyond the programmer who would be adding the feature? Well, for one, it would concern the team supporting the price server: this was going to quadruple the load this application would place on it. It was also going to impact the order server: that server had to be prepared to send orders out to the proper exchanges. Oh, and the testing team had better be prepared to simulate quotes coming in from four sources, not one. Also, the monitoring team would have to detect if there was a lag on quotes arriving from four sources, not one. Or consider the patterns and tales from Michael T. Nygard’s book, Release It!. Continually, in Nygard’s stories, solving a problem in a sophisticated web operation involves a wide range of both technical and business knowledge. For instance, in terms of designing “circuit breakers” that limit the impact of the failure of one component, Nygard notes that deciding what to do when a circuit breaker trips is not merely a technical decision, but involves a deep understanding of business processes: “Should a retail system accept an order if it can’t confirm availability of the customer’s items? What about if it can’t verify the customer’s credit card or shipping address?” (p. 97) Later in the book, a retail system went down entirely on Black Friday, costing his client about a million dollars an hour in sales. Fixing the problem involved understanding the functioning of the frontend of the online store, the order management system, and the scheduling system, and the interactions of the three. However, to succeed delivery teams must often work with people outside of the team, such as enterprise architects, operations engineers, governance people, data management people, and many others. For agile/lean delivery teams to be effective these people must also work in an agile/lean manner. Nobel-Prize-winning economist F.A. Hayek was one of the most significant social theorists of the 20th century. He did important work on the theory of the business cycle, on monetary theory, on the theory of capital, on the informational role of market prices, on the nature of complex phenomena, and on the importance of group selection in evolution. Hayek's work has important insights to offer those advancing Lean / Agile / DevOps ideas for IT. Here I will focus on his paper "Competition as a Discovery Procedure," and note how similar Hayek's vision for the role of competition in the market is to the Agile understanding of the importance of the "development" part of the phrase "software development." That essay of Hayek's was written in response to the model of "perfect competition" that had come to dominate economics in the middle of the 20th century. In that model, "competition" meant a state of affairs in which each market participant already knew every relevant detail about the market in which they participated, and thus simply "accepted" a price that, somehow, mysteriously emerged from the "given data" of their market. In such a situation no actual competition, as it is commonly understood, really occurs: every "competitor" already knows what product to offer, what price to charge, and simply passively accepts their situation as it stands. This, I suggest, is quite analogous to software development: it would be pointless to engage in such a time-consuming, mentally challenging activity if we knew in advance what software "would do best." We engage in software development to discover "such facts as, without resort to it, would not be known to anyone." It is only when we put our interface in front of real users that we find out if it really is "intuitive." It is only when we confront our theoretical calculations with the real data that we know if we got them right. It is only when we put our database out to meet real loads that we can tell if its performance is adequate. We can only tell if our CDN design meets our goals when it actually has to deliver content. None of this means that we should not plan as much as possible, in advance, to make sure our software is up to snuff, just that how much is possible is quite limited. When we start, we rarely know the problem well. We often think we do... but we don't. Only a combination of thinking about the problem (analysis) and experimentation (design and implementation) gives us the solid understanding that we need to write a good program... It is rare to find that we had anticipated everything when we analyzed the problem and made the initial design. We should take advantage of the feedback that writing code and testing give us (Stroustrup, 178). Similarly, in software development, although we can't anticipate in advance exactly what lines of code will be needed... or development would be done!... we can anticipate that good software will exhibit certain patterns. And thus we see Hayek anticipating the "pattern language" approach to software development that was imported from the architectural works of Christopher Alexander into software development. Let us turn aside from contemplating the market order, upon which Hayek focuses most of his attention, and consider the other order Hayek mentions: science. Although any scientific enterprise involves planning, we cannot possibly plan out in advance what discoveries we will make in the course of some scientific research: if we knew those, we would have already discovered them, and our research would be done: we would just be writing up the results. But that is precisely what the waterfall model supposes: we already know what the software in question must do: development is complete, and all that remains is to turn the requirements into an executable program: essentially, just "writing up the results." This approach actually blocks the process of discovery, as it leaves no room for the developers or the users to achieve new realizations in the process of turning the blueprint into working code, realizations that would expose the "specs," the master plan, as being based upon false hypotheses. One aspect of recognizing an order as a discovery procedure is the implication that where in an organization the most relevant discoveries will be made is also not predictable in advance. Many scientific discoveries have been made because a lab assistant failed to follow some accepted procedure, or noticed something her "betters" had missed. And many successful market innovations arose at the level of the factory floor or the sales visit, and not in the executive suite. But Taylorism and similar top-down approaches proved inadequate in manufacturing, as demonstrated by the triumph of the Toyota Production System, just as top-down planning failed in the Soviet Union, and just as it does in science. Perhaps their most important piece of wisdom contained in the Lean / Agile / DevOps movement is that the waterfall model of software development fails for very similar reasons. We will discover "corner solutions" we had not anticipated. Corner solutions are extreme cases that are not easy to detect in the analysis phase, such as a buyer who has purchased every single product the company sells (what do we market to her? ), or a security the price of which has dropped to zero (were we dividing by that price at some point?). Some aspect of the user interface that was "obvious" to the designers will appear completely obscure to the actual users: we won't know this until we put some working software in front of them. A calculation or algorithm that the users thought was adequate to their purposes actually is not: it may have handled a few common cases correctly, but once exposed to real world data, its shortcomings may become obvious. Some part of the system may incur a load that was not anticipated during the analysis phase: a particular feature may be much more popular than was predicted, and the capacity of the components assigned to handle that feature might be swamped. There may be regulatory/legal requirements for the software that the users interviewed by the analysts simply took for granted, the violation of which will only become apparent when those users are faced with a working version of the software. "Black swan" events will arise in the course of development: a market crash, a new, unforeseen law, a brand-new market emerging, a natural disaster, or a security threat. When we delay as many decisions to as late a time as possible, rather than trying to make all significant choices up front in an "analysis phase," we are far more flexible in responding to such events. As Nassim Taleb wrote, "once we produce a theory, we are not likely to change our minds -- so those who delay developing their theories are better off" (Taleb, 144). Domain-Driver Design: Tackling Complexity in the Heart of Software, Eric Evans, Addison-Wesley, Upper Saddle River (New Jersey), 2004. "Competition as a Discovery Procedure," in New Studies in Philosophy, Politics, Economics and the History of Ideas, F.A. Hayek, University of Chicago Press, Chicago, 1978. Programming: Principles and Practice Using C++, Bjarne Stroustrup, Addison-Wesley, Upper Saddle River (New Jersey), 2014. The Tyranny of Metrics, Jerry Z. Muller, Princeton University Press, Princeton, 2018. The Black Swan, Nassim Nicholas Taleb, Random House, New York, 2010. Michael Race discussing careers in DevOps. Joe West on "Four Things I Wish You Knew About DevOps"
DevOps can be understood as the need for _____ to keep up with ______ development practices. When we set out to develop software, we...? The term "DevOps" was created by combining the terms...? In the Lean paradigm of development, decisions about the product should be made...? In software engineering, "MVP" stands for...? Automated testing is an important part of DevOps because...? It saves money in hiring testers. Lean and agile development displaced the ____ model of development? The DevOps idea of incremental development can be seen as an extension of...? The advantages of incremental development include...? The division of labor is cited by Adam Smith as...?